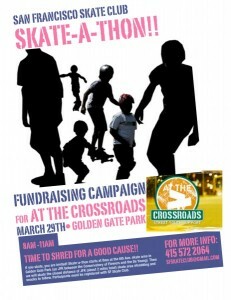 A full on Skate-A-Thon is going down this Sunday in San Francisco for all of you up in that area. I would be the first one there and ready to skate to my hearts content, if only I was nearby. A chance to skate, pretty much all day with a bunch of other skateboarding brothers is a beautiful thing. It starts bright and early at 8:00am and ends at 11:00 am. That’s relatively short, I guess, but you know you’re still going to skate the rest of the day with other skateboarders you meet there. Trade spot locations, talk skateboarding, play games of S.K.A.T.E. and just overall have a great time. All that is required to enter the skate-a-thon is for you to be signed up with the SF skate club. If you’re already living in San Francisco, then why not sign up for your own skate club. 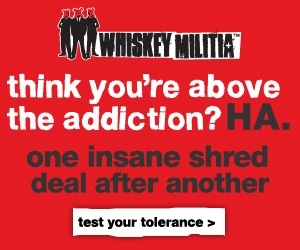 Might as well, you know? The skate-a-thon is for a fundraising campaign so you know it’s for a good cause. Anything that benefits skateboarding is a good cause. Reminds of a lot of like Go Skateboarding Day when the masses gather to form one giant skateboard train. Or a Wild in the Streets type of deal. Don’t forget that if you make the trip up to San Francisco you can be sure to hit up some legendary spots as well. And of course, the world renowned mass array of hills you can bomb. The street luge extremist and daredevil deep inside all of us pops out when in the presence of the San Francisco streets. Posted by Ruben 'Studdard' Najera	on Friday, March 27th, 2009	in Skateboarding. Dude thanks for the heads up! I am in the area and will now definitely be out there representing… everyone come on out and I will see you there!